This section includes the years from 1932 until 1950. 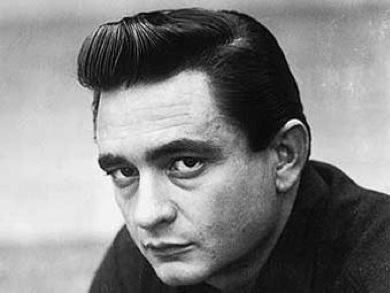 J. R. Cash was born in Kingsland, Arkansas on February 26, 1932. He was the son of Ray and Carie Cash. He was one of seven children. By the age of three the family moved to Dyess, Arkansas, where J. R. was raised. The Cash family was completely of Scottish heritage. Something J. R. wouldn’t learn until decades later when he looked it up. It was another heritage that would have an impact on him, and his music. He was told that he was one quarter Cherokee. This was later proved to not be true, but Cash would still keep the empathy and compassion for the native american. 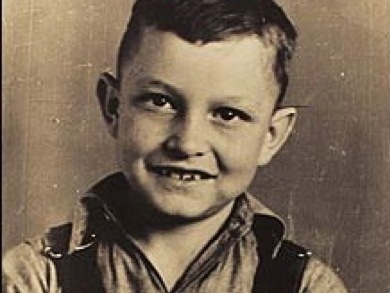 When J. R. turned five, he had to start work in the cottonfields. It was here that Cash first was introduced to music, as the family used to sing while they were picking. When the work was done, J. R. sat down in front of the radio and listened to country and gospel. Gospel songs and hymns were popular music to both listen to and sing. Carie Cash sang from the “Heavenly Highway Hymns”; a book wich J. R. almost memorized. So it was through the HHH, the work in the fields and the radio that J. R. got the inspiration. He started playing the guitar at a very young age, and already by the age of twelve he had written his own song. When he started high school, he also performed at the local radiostation KLCN. The experiences and traumas J. R. had already as a little boy, has left it’s mark on the music. He was raised in a poor family in the middle of the Depression, so he knew what it was like having next to nothing. And as if that wasn’t enough, J. R. would feel what it was like to lose a brother. His older brother, Jack, died in a tragic accident in 1944. J. R. was only 12 at the time. His brother was working at a high school shop table saw when he suddenly was pulled into the whirling saw and were almost cut in half. He managed to cling to his life for a week, but had to give up in the end. J. R. was very close to his brother Jack up to the point where he died. And according to Cash himself, he feels horrible guilt for what happened. He claims to have had a bad premonition about that day. So had his mother, who sent Jack fishing with J. R., but the family needed the money so Jack would go work instead. There are different stories tied around the death of Jack Cash. Someone claims to have seen a local bully flee from the scene with blood on his clothes. But no stories could change the way J. R. felt. On his deathbed, Jack said he had visions of angels and of heaven. And J. R. has always looked forward to seeing him there. The family continued life as well as they could. And the time came for J. R. to join the Air Force in 1950.